• Three weeks ago I listed 16 players in danger of being removed from the 40-man roster and so far the Twins have dropped five of them: Josh Roenicke, Clete Thomas, Doug Bernier, Cole De Vries, Shairon Martis. I'd expect at least another 3-4 cuts by the end of the World Series, but in the meantime the Twins already re-signed Bernier to a minor-league contract that keeps the 33-year-old journeyman in the organization without a 40-man roster spot. Roenicke being cut might have surprised some people simply because he spent the entire season in the Twins' bullpen and logged the same number of innings as Glen Perkins, but he posted a 4.35 ERA compared to the league average of 3.69 for relievers and his secondary numbers were actually even worse with a 45-to-36 strikeout-to-walk ratio. His stats for the Rockies last season were similarly underwhelming and at age 31 he was due for a raise via arbitration. Thomas started 79 games for the Twins, including 48 in center field, but hit .214/.290/.307 with 92 strikeouts in 322 plate appearances to finish with the same exact .597 OPS as Aaron Hicks. He was a bit better defensively than I expected, but Thomas is hardly a great center fielder and doesn't hit enough to be more than a backup. That player type is always available on waivers or minor-league deals, and Alex Presley's arrival made Thomas especially superfluous. Bernier, De Vries, and Martis are exactly who baseball analysts are talking about when they refer to "replacement-level players" being readily available. It's important to have them stockpiled at Triple-A heading into every season, but it's also important to bring in a fresh batch every winter without clogging up the 40-man roster and as the Twins have shown recently things get ugly in a hurry when more than a few of them are pressed into extended action. • Making official what was reported at the time of the trade, the Twins acquired Duke Welker from the Pirates as the player to be named later in the Justin Morneau deal. I wrote quite a bit about Welker as part of my overall analysis of the trade on August 31, but the quick version is that he's a big right-handed reliever with a mid-90s fastball, good strikeout totals, and terrible control. Not a bad flier to get along with Presley, but Welker is already 27 years old. Including the postseason Morneau ended up hitting .267 with zero homers and a .317 slugging percentage in 31 games for the Pirates. Overall this season between Minnesota and Pittsburgh he hit .260/.325/.413 in 158 games and combined for the past three seasons he hit .256/.329/.406 in 361 games. There are still local media members stumping for Morneau's return to the Twins as a 33-year-old free agent, but it's awfully hard to understand why. • David Ortiz's dramatic grand slam for the Red Sox led to all the usual grousing about why the Twins let him go back in 2003 and it's important to note that it wasn't for a lack of hitting. Ortiz has the fifth-highest OPS in Twins history among all hitters with at least 1,500 plate appearances through age 26, which is when he left. The only Twins with a higher OPS through 26? Joe Mauer, Kent Hrbek, Morneau, and Lyman Bostock. Ortiz could always hit. And look at that punim. Minnesota Twins designated hitter David Ortiz was placed on the disabled list Saturday, a day after breaking his right wrist diving into home plate. Twins' trainers at first thought Ortiz hurt a thumb. "We asked David maybe 90 times or 100, I'm not sure, I lost track: Are you all right?" manager Tom Kelly said. "He said he was, so we let him hit. After he hit, the trainers said his wrist was starting to swell, so we got him out of there." Kelly seemed to take the injury in stride. "We don't cry about injuries," he said. "We never have and we're not going to start now. I had a man go blind one day, a Hall of Fame player. We just move along. Injuries are part of the game." Ortiz might be out of place in the Twins' lineup these days, but the injury stuff sounds familiar. • Twins attendance fell by 3,688 fans per game this season, which was the fifth-largest drop in baseball. In their first two seasons at Target Field the Twins averaged 39,000 fans per game, but that dropped to 34,000 last year and 31,000 this year. And those are tickets sold figures rather than actual fans in the seats. In their final season at the Metrodome the Twins averaged 29,446 fans per game, which seems fairly likely to top next year's totals at Target Field. 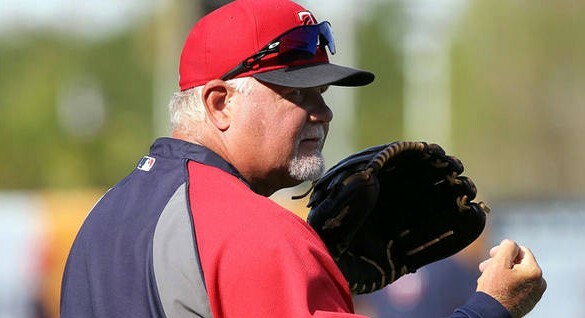 • Over the years I've criticized Ron Gardenhire and the Twins for their unwillingness to platoon hitters, which is something Gardenhire and general manager Terry Ryan talked openly about last month in a series of somewhat maddening quotes. Jack Moore of Sports On Earth wrote a very interesting article about how the A's among the teams to take the opposite approach to platooning with lots of success. • In addition to Bernier the Twins also re-signed Triple-A players James Beresford, Jermaine Mitchell, Lester Oliveros, and Virgil Vasquez to minor-league contracts. Beresford could get a look as a potential utility infielder next season and Oliveros was in the majors before missing this season following Tommy John elbow surgery. • Steve Adams of MLB Trade Rumors took a lengthy look at some of the key roster issues facing the Twins heading into the offseason. • MLB Productions released some old video this week that involved a bit of Twins history. • For more on Morneau's post-trade performance, plus Twins payroll projections and reviewing over/under picks, check out this week's "Gleeman and The Geek" episode. If the above 25-man roster sticks there will be a total of 11 holdovers from last season's Opening Day roster: Joe Mauer, Justin Morneau, Josh Willingham, Ryan Doumit, Chris Parmelee, Trevor Plouffe, and Jamey Carroll among position players and Glen Perkins, Jared Burton, Brian Duensing, and Liam Hendriks among pitchers. • Scott Diamond's elbow problems opened the door for Samuel Deduno to get back into the rotation, but a groin injury suffered during the World Baseball Classic shut that door. Deduno, who was dropped from the 40-man roster and passed through waivers unclaimed four months ago, will head to Triple-A. Cole De Vries, who unlike Deduno is on the 40-man roster, is set to join Vance Worley, Kevin Correia, Mike Pelfrey, and Hendriks in the season-opening rotation. De Vries held his own in 14 starts as a 27-year-old rookie last season, but he was an emergency call-up when the rotation was wrecked by injuries and has a 4.39 ERA with just 6.7 strikeouts per nine innings in 156 innings at Triple-A. De Vries throws strikes and as an Eden Prairie native who went undrafted out of the University of Minnesota he's a good story, but he's likely to serve up a ton of homers and turning to him already is a bad sign. • Alex Burnett stuck around in the majors far longer than his performance warranted, spending nearly three full seasons in the Twins' bullpen despite a 4.61 ERA, sub par control, and just 5.6 strikeouts per nine innings. On the surface his 3.52 ERA last season may have looked like a big step forward, but it came with a horrible 36-to-26 strikeout-to-walk ratio in 72 innings and the Twins smartly didn't let his experience keep them from sending Burnett to Triple-A. Barring late additions Burnett's demotion to Rochester means that the four bullpen spots after Perkins as closer and Burton and Duensing as his primary setup men will go to Casey Fien, Josh Roenicke, Ryan Pressly, and Tyler Robertson. Pressly is the biggest surprise after the Twins opted not to keep Rule 5 picks in the majors in both 2011 and 2012, but he throws hard and they clearly like how he's looked since shifting from starter to reliever late last season. I'm glad Fien is getting another shot after looking good in 35 innings last season. He has a solid enough track record in the minors to think he can be a useful middle man. Roenicke was claimed off waivers from the Rockies in November and has shown the durability to soak up innings, but poor control and sub par strikeout rates aren't an encouraging combo. Rafael Perez not being ready yet following shoulder surgery made it pretty easy for Robertson to be the third left-hander. Perkins and Burton put the Twins in good shape for the eighth and ninth innings, but beyond that duo Fien, Roenicke, and Pressly from the right side and Duensing and Robertson from the left side isn't particularly promising. Anthony Swarzak, who likely would have made the team as a long reliever, and Tim Wood, who was in the mix for one of the final bullpen spots, will both begin the season on the disabled list. • Last offseason the Twins signed outfielder Wilkin Ramirez to a minor-league deal and sent him to the minors without any fanfare after he hit .214 in 10 spring training games. He played most of the season at Triple-A and did little to distinguish himself, hitting .276/.316/.451 with 15 homers and an ugly 97-to-18 strikeout-to-walk ratio in 98 games. 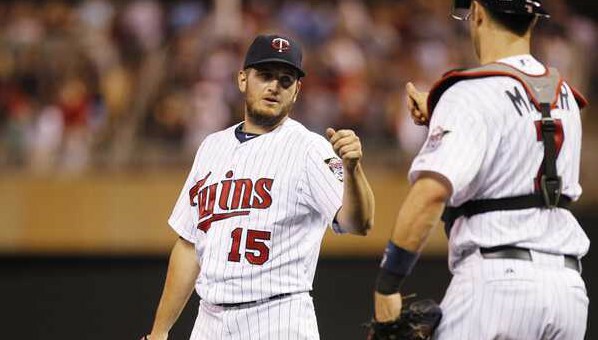 He became a free agent and re-signed with the Twins on another minor-league deal. And now Ramirez is on the Opening Day roster. What changed between then and now to make a 27-year-old journeyman with an underwhelming decade-long track record and awful plate discipline worth a roster spot in the majors? Ramirez has had a good spring, hitting .444 with nine doubles in 16 games. And that's basically it. Last year at this time no one gave him much thought and his play in Rochester didn't warrant a call-up, but 45 good at-bats convinced the Twins he's the man for the job. It doesn't matter much, because backups on last-place teams aren't exactly of vital importance and the Twins failed to bring in many superior options, but trusting 50 plate appearances in spring training over 4,000 plate appearances in the minors generally isn't a sound approach to decision-making and Ramirez is an odd pick to replace Drew Butera following Ron Gardenhire's call to "beef up" the bench. He's a career .255/.310/.430 hitter at Triple-A. 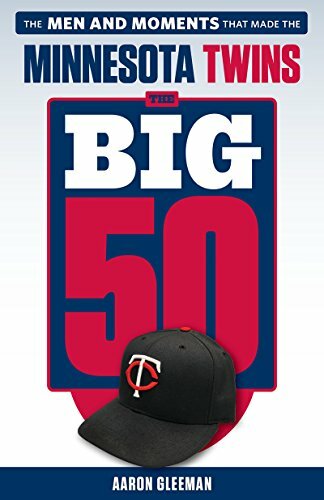 • Mike Berardino of the St. Paul Pioneer Press crunched the numbers and calculates the Twins' payroll at $81 million, which is the lowest since it was $65 million during the final season at the Metrodome in 2009. In their first season at Target Field the Twins spent $98 million and in Year 2 that rose to $113 million, but the payroll dropped to $94 million in Year 3 and now it's well below MLB average. Not quite the pattern fans were hoping for throughout the new ballpark push. • Friend of AG.com Dan Szymborski predicted the American League standings for ESPN.com based on his excellent ZiPS projection system and not surprisingly the Twins are bringing up the rear in the AL Central at 66-96. Only the Astros have a worse projected record in the AL. 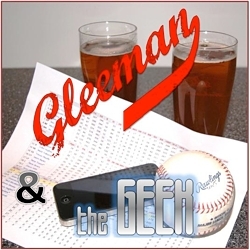 • This week's "Gleeman and The Geek" episode featured a whole bunch of Aaron Hicks talk.